At least 50 people have been killed and thousands more evacuated as floods caused by heavy rain brought chaos to the Philippines, officials say. One town is said to be completely under water. 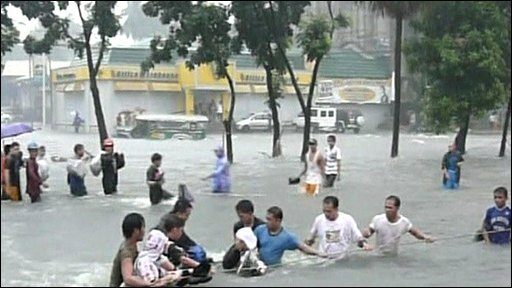 Power has been cut off to parts of the capital, Manila, where hundreds of people are trapped on rooftops. The government has declared a calamity, allowing access to emergency funds.